Apple is including the iPhone and iPad Pro in this year's back-to-school promotion because the company must manage a slumping smartphone as well as a stuck-in-decline tablet market, an analyst said today. Apple kicked off its annual back-to-school sales campaign last month, handing over Beats headphones to buyers of most Macs, all models in the 2015-2016 iPhone 6 and 6S series, and any iPad Pro. The inclusion of the iPhone (6, 6 Plus, 6S and 6S Plus) and the iPad Pro (9.7-in. and 12.9-in.) was notable because Apple's smartphones and tablets were not eligible purchases for 2015's back-to-school promotion. That, said Carolina Milanesi, an analyst with Creative Strategies, was easy to explain: In 2015, iPhone sales were up dramatically in the June quarter. Apple hadn't yet come to grips with the fact that the iPad, already in decline for five quarters, was not going to bounce back. A year later, things are different. "The reality of iPad sales really had not sunk in [then] as much as it has now," Milanesi said in an interview, referring to Apple's insistence in 2015 that iPad sales would return to growth. "Apple thought that the iPad's lifecycle was a bit longer than the iPhone, and that eventually customers would upgrade," she added. "That hasn't happened." The tablet replacement cycle simply doesn't resemble the smartphone cycle, with either very long intervals between upgrades, or in some cases, buyers who have no intention of upgrading from their first purchase. More recently, iPhone sales also turned down. During the quarter that ended in March, Apple sold 51.2 million iPhones, a 16% reduction from the same period in 2015. iPhone revenue was off 18%, or $7.4 billion, year over year. To drive sales of the iPhone and iPad Pro, Apple put them in the promotional bucket. "Apple enters Back to School 2016 in a very different market dynamic and the promotions reflect that," Milanesi wrote in an analysis published Wednesday on Tech.pinions. Customers who purchase an eligible iPhone or iPad Pro through Sept. 2 will receive either a pair of Powerbeats2 wireless headphones -- Apple applies an $199.95 credit to the order for a zero balance -- or a pair of Beats Solo2 wireless headphones. The Solo2 lists for $299.95, so the buyer pays $100 out of pocket for that option. Consumers who buy an iMac, MacBook, MacBook Pro, MacBook Air or Mac Pro receive a pair of Beats Solo2 wireless headphones and are credited the full price of $299.95 on their order. Educational discounts also apply to the iPad Pro and Mac lines, ranging from $20 on an iPad Pro, to $50 on a MacBook and MacBook Air, to $100 on a MacBook Pro. The discounts top out at $300 on the most expensive Mac Pro. Back-to-school sales are important for technology vendors, including Apple, Milanesi said. Most experts consider the summer promotions as the second-most important season after the end-of-year holidays. "It does matter for PC vendors [in general], but it is also a big deal for Apple," she said. "This is also a difficult [period] for Apple -- June, July and August -- because everyone is waiting for the new iPhone." Milanesi also implied that the inclusion of the iPad Pro in this year's back-to-school deal fit with Apple's recent arguments that the tablet, when paired with a keyboard, was appropriate to replace a traditional laptop. While parents may view the laptop as the productivity answer for their children, students are much more likely to lean toward the tablet, Milanesi said. But the generational differences may be moot at this point. "In the past, you couldn't get an iPad [for school and schoolwork] because you needed Office and a keyboard," she said. "That doesn't hold anymore." Office 365, Microsoft's subscription service, is key to that scenario, for it gives customers the right to run the iOS Office apps on an iPad Pro. Students can piggyback on their parents' subscription -- $100 annually for five users -- purchase the college-specific Office 365 University, a four-year subscription for $80, or in many cases, acquire the apps free of charge through their school's over-arching Office 365 Education plan. A tablet-keyboard combination is also less expensive than a traditional laptop. A 9.7-in. 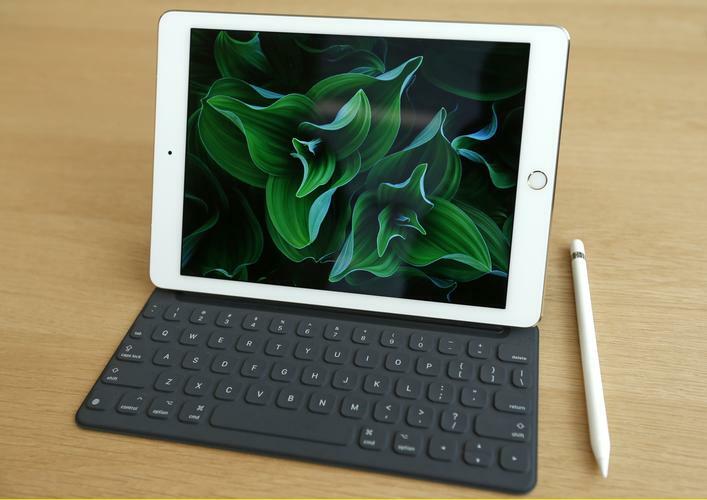 iPad Pro equipped with Apple's Smart Keyboard costs $728 with the educational discount, or 81% of the lowest-priced 11-in. MacBook Air. "I'm not saying that the iPad Pro is the solution for everybody," Milanesi said. "Things are so much cheaper on the Windows side," she continued, referring to notebooks powered by Windows 10. "But if you look at the 9.7-in. iPad Pro, it's a very powerful machine. If you are OK with a smaller screen, you're golden. There are no issues from a performance point of view, and in Office, you won't notice a difference." Apple's promotion covers devices purchased between June 2 and Sept. 5. The deal's terms and conditions can be found on Apple's website.